The Service Experts Ian and Deran came and replaced my old furnace with a new one. They were very professional, tidy, organized, polite. The two of them worked very well together. They were very conscientious of our floors and made sure we knew what they were doing at all times. It was a pleasure working with Winnipeg Supply. Hello! We do our best to provide every customer with superior service and it is always nice to hear positive feedback! Hi! We are happy that the team worked together to provide you with a great experience! On July 19th 2018 right on time Trevor and Mike showed up to remove the old and install our new furnace. They introduced themselves and got right down to business. They were very accommodating and helpful. They were very imformative about the furnace and also about the duct work. We had asked for part of the duct work to be changed because it was leaking. Trevor mentioned they would be installing the same duct work and what we had was proper for the size of the house. He checked it out and found the company that installed it had installed it incorrectly as they neglected to hook up an elbow. So instead of installing new ducting which wasn't needed Trevor and Mike repaired what was there and sealed up existing joints thus saving the cost of an unnecessary new one. IT IS THE HONESTY OF SERVICE MEN LIKE TREVOR AND MIKE WHICH MAKES CUSTOMERS FEEL WE CAN TRUST WINNIPEG SUPPLY TO DO THE JOB IN A RESPONSIBLE MANNER. Thanks again Trevor and Mike for all your hard work in such a confined space and with no complaints. VERY MUCH APPRECIATED!! Sue and Ron, thank you so much for your wonderful feedback! We appreciate you choosing us for your recent installation and we're happy to hear that the team provided you with an excellent experience. We look forward to continue working with you and thank you for being a valued customer! Winnipeg Supply came to fix our air conditioner on one of the hottest days of the year. Truly professional with no scare tactics. I'm an old lady and I have had other companies try to rip us off in the past. I will definitely recommend this company to others. We are glad to hear that we were able to take care of your problem and look forward to continuing to do business with you in the future! We woke up to no heat, understanding that we had been tempting fate with our old furnace for months. It was time to replace it. Winnipeg Supply had been taking care of us for years, so naturally they were the ones we called when we needed a new one. They installed our new furnace the same day! What excellent service! Thank you to everyone in the office who always answer our questions with a smile, and to Perry, our sales consultant for your patience and help. Ian and Marc, our installers - you did a great job putting us at ease and getting the job done! Thank you again for everything. We are customers for life! We strive to provide excellent service and are thrilled to hear that was reflected during your recent experience! Thank you for taking the time to share us your feedback! Our furnace was very old and it was located in a very tight area to work in Trevor P. and Mike M. came down and did such a fantastic job! super friendly and they did such a fast job. We bought the nest thermostat (internet friendly) Even tho it wasn't their product they installed it and took care of all the wiring and setup we are extremely happy with the work they did and our new Furnace....Thanks guys you are both great. Chip, we are glad that Trevor and Mike worked together to provide you with an excellent experience that was done in a timely and professional manner! Winnipeg Supply saved the day! These guys are truly the best. Coming out and repairing my furnace at 9pm on a Sunday, and with a smile to boot! Great value and such a genuine group of people! Thank you for saving me this weekend. We're very glad to hear that you were extremely satisfied with the level of service! Had Andrew out today to check our heating system he did a very thorough job. I have had other companies out in the past but this was by far the best furnace checkup we've ever had. Won't hesitate in calling you in the future. We strive to provide excellent service and are thrilled to hear that was reflected during your recent experience with Andrew! Ian and Collin- exceptional and excellent installers, nothing but the best about those 2 guys. On time and to the point installers. Thank you for entrusting us to ready your system for the winter months ahead! Went downstairs on monday and heard a noise coming from the furnace. Called Winnipeg Supply - approx 1 1/2 hours later Jeremy G came - found the problem - fixed the problem (no parts needed.) While he was here he noticed our A/C was not working so good. He checked our 30 year old A/C and found it was totally out of refrigerant. Called the office and the same day Perry came over and gave us the lowdown on a new furnace and A/C. Appt. made for Wednesday 8:30 AM for installation. Almost to the minute Ian and Colin came all the work was done by 1PM. It doesn't get any better than that. From the office staff and all the technicians we have met so far - like the name says they are all Service Experts. We are happy that everyone worked together to provide you with a great experience! When you want a job done right, you call in the experts. At Winnipeg Supply Service Experts Heating & Air Conditioning in Winnipeg, we’re passionate about performing quality HVAC repairs and installations. We even put it in writing. Our 100% Satisfaction Guarantee demonstrates our commitment to upholding the highest level of heating and air conditioning services in the industry. Moreover, Winnipeg Supply Service Experts in Winnipeg repairs, sells and installs more heating and cooling systems than any other HVAC repair and service company in the U.S. and Canada – more people entrust us with their home’s heating and cooling, so you know your home is in good hands. Winnipeg Supply Service Experts in Winnipeg will take care of all your home comfort needs. Whether your air conditioner or furnace breaks at the moment you need it most or you’re looking for indoor air quality solutions that have earned the highest EPA and ENERGY STAR® standards, you can rely on our Winnipeg team. 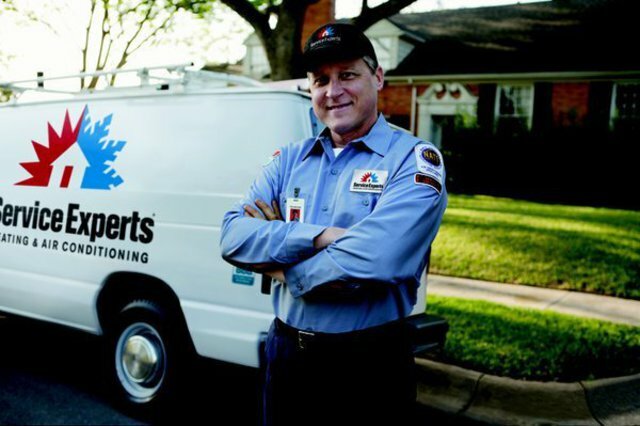 We’re experts in heating and cooling, and superior service is what we do best. If your work entails facility management, Peel Heating Service Experts Heating & Air Conditioning in Brampton offers you the quality, dependability, and cost savings you want for your operations. No other company knows the HVAC industry like we do. With more than 90 heating and air conditioning service centers across North America, we offer an unparalleled level of skill and experience to service and provide solutions to your commercial heating and cooling needs. With NATE-trained technicians, high-tech energy solutions, 24/7/365 live customer service and more, we will exceed your expectations as experts in the HVAC industry. Not to be a killjoy, but are you inside? If so, you most likely be surprised if you realized how many toxins you may have just inhaled, including chemical vapors, microbes, mildew, viruses, bacteria, dust, dirt, pollen, allergens and more. Hold on...what? The EPA discovered in a survey that Americans spend 87% of their lives inside, and that indoor air pollutant levels are up to 100 times higher than pollution levels found outside. Yikes! Now think about the fact that people breathe an estimated 3,000 gallons of air every single day. So do your kids. So does your Pug. Seriously, we need to stop taking indoor air quality for granted. Not anymore. Furnace Repair Service Whether your unit stops working in the middle of your morning or the middle of the night, our experts will be out to service your furnace in no time. Our NATE-certified technicians have earned the most prestigious training and certification in the industry, so they’ll get the job done right the first time. Our expert professionals at Winnipeg Supply Service Experts in Winnipeg are trained to service any type of furnace or boiler, so you can be certain you’ll get the best service in the area. Furnace Sales & Installation Replacing your furnace is quite the task. Do you know where to begin? Don’t worry. Our expert heating and cooling consultants will help you figure out which unit will work best for you based on the size of your home, your family’s air quality preferences, financing budget and your desired energy efficiency. We’ll be with you every step of the way from selecting the best system and financing solution, to executing an expert equipment installation when it arrives. Furnaces & Air Handlers If you’re in the market for a new furnace or air handler, look no further than Winnipeg Supply Service Experts in Winnipeg. We carry a wide selection of gas furnaces, oil furnaces, air handlers, boilers and garage heaters – and all our products rate well for efficiency, low noise levels and, of course, reliable performance. Peruse our full range of products here. Furnace Maintenance You can’t totally prevent your furnace from breaking down, but you can help prevent it with routine furnace maintenance visits. Our in-depth furnace tune-ups and PLUS service plans actually help you save in two ways. First, a well-maintained heating system will operate more efficiently and uses less energy, which helps the environment. Second, proper maintenance means less spending on repairs. We don’t know about you, but we have a list of things we’d rather spend money for. And with lower utility bills, we can! Air Conditioning Maintenance So you’ve got your thermostat programmed perfectly but you’re still not happy with your energy bill every month? 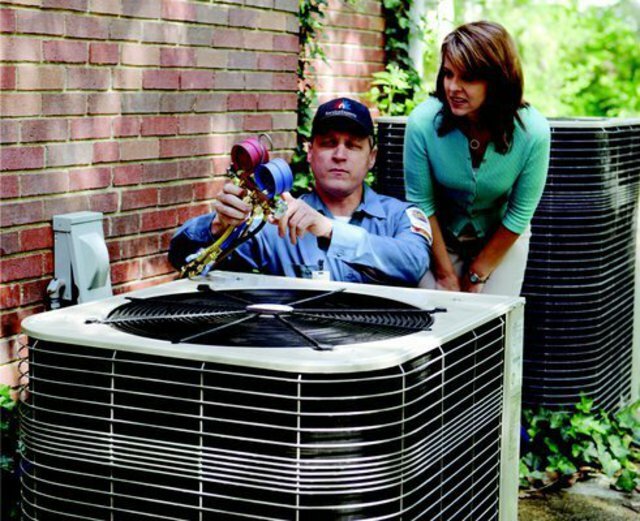 Much like cars, AC maintenance is critical to ensure your home is running at its highest efficiency. We’ve made four service plans to meet your exact AC maintenance need, in addition to your budget. Solar Air Conditioning We won’t bombard you with a bunch of “green” terminology, but you should know that solar air conditioning is a lot more realistic and practical than you make think. We have various products that can take your home to the next level of efficiency and also provide your wallet with a little more green as well. While you shouldn’t stare into the sun, you should definitely take a look into taking advantage of all the power it delivers. Air Conditioners We all like being comfortable. Keeping your home cool plays a big part in your family’s comfort in the heat of the summer and we’re here to help ensure you uphold the level of comfort your need. Choosing one of our ENERGY STAR® qualified air conditioners will keep your home the perfect temperature while giving you a quiet and efficient system that helps decrease your carbon footprint at the same time.